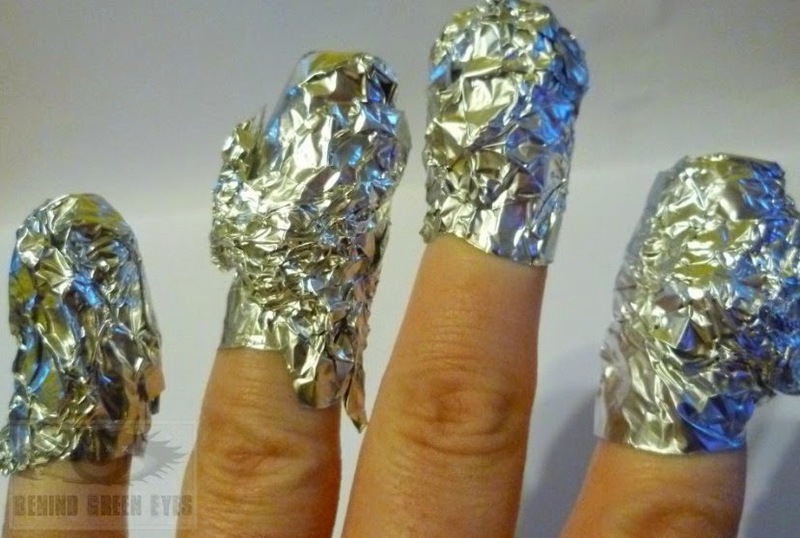 The foil method is something I would presume any nail polish wearer knows about, but I know that's not true - I only found out about it a couple of years ago, until then I used to think people were scraping the polish off with the foil...... I'm sure some people avoid wearing glitter polish because of the horror involved in removing it - embrace the foil method and you can be as sparkly as you want! 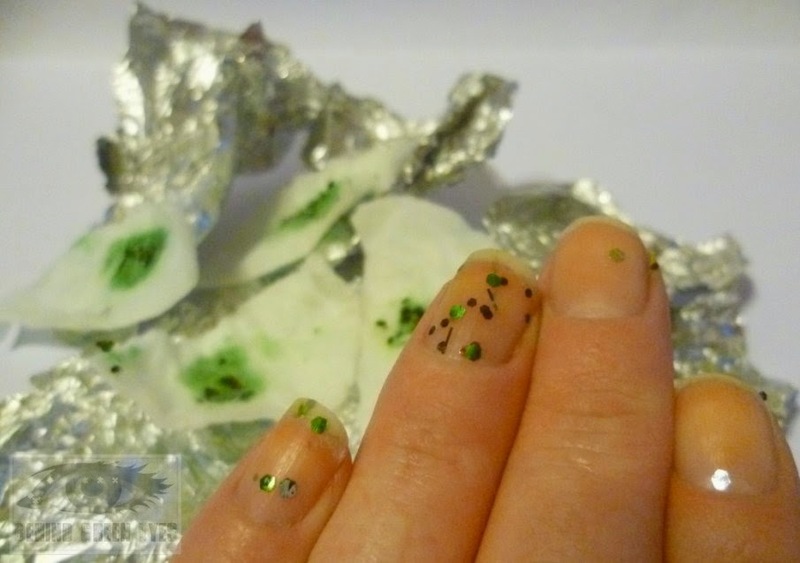 Firstly, here's what happens if you try to use a cotton pad dipped in nail polish remover to take glitter off. Is there anything more annoying? To get it off with minimal effort, you could buy one of those nail polish remover pots from Bourjois - but I prefer this way because you don't have to buy anything extra and you're not left with a manky sponge after a few weeks. 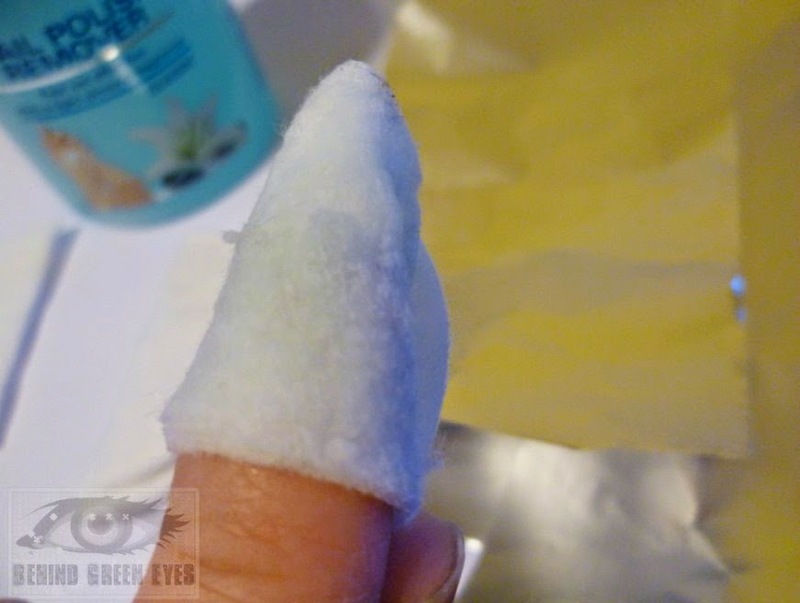 You need some cotton pads cut in half, enough strips of tin foil to cover your nails (cut about the width of a credit card), and some nail polish remover. Acetone and Non-Acetone work equally well. 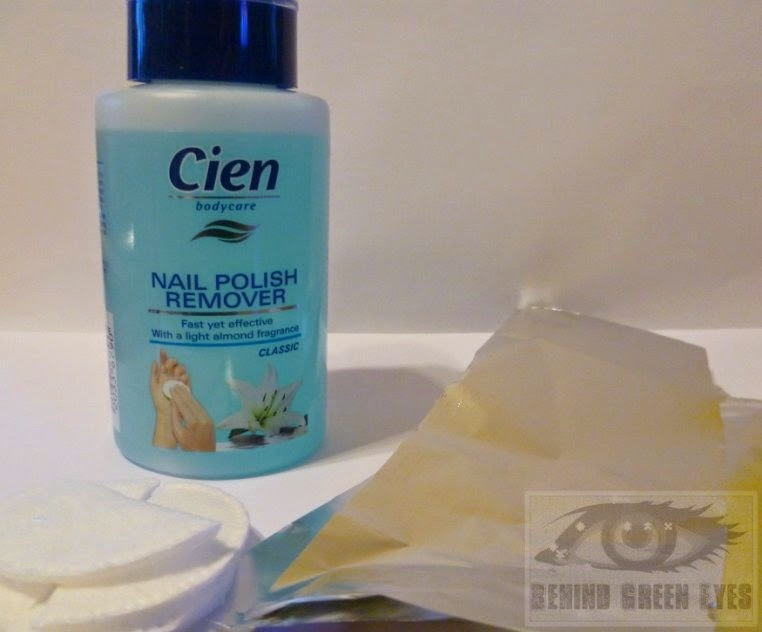 Soak your cotton pad in nail polish remover, then wrap around the nail. 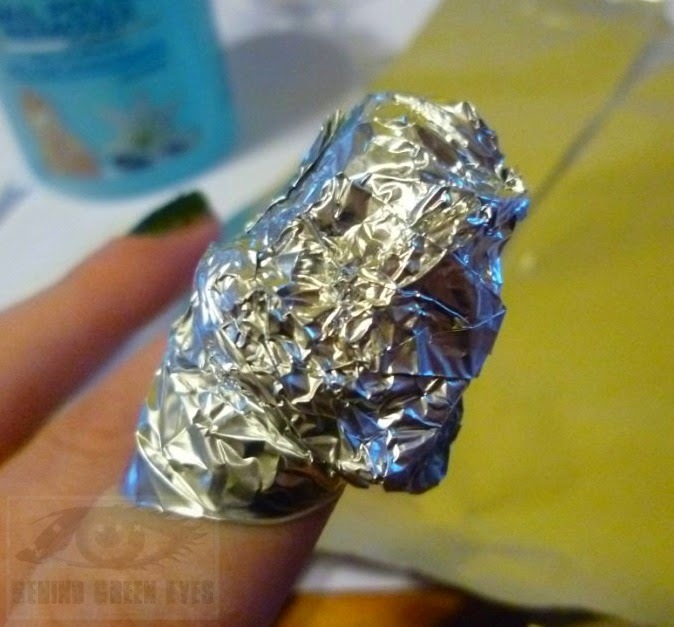 Cover the nail and pad with tin foil, and scrunch up tight to seal. Repeat for all fingers. Leave the tin foil on for a few minutes - usually 3 or 4 is enough. 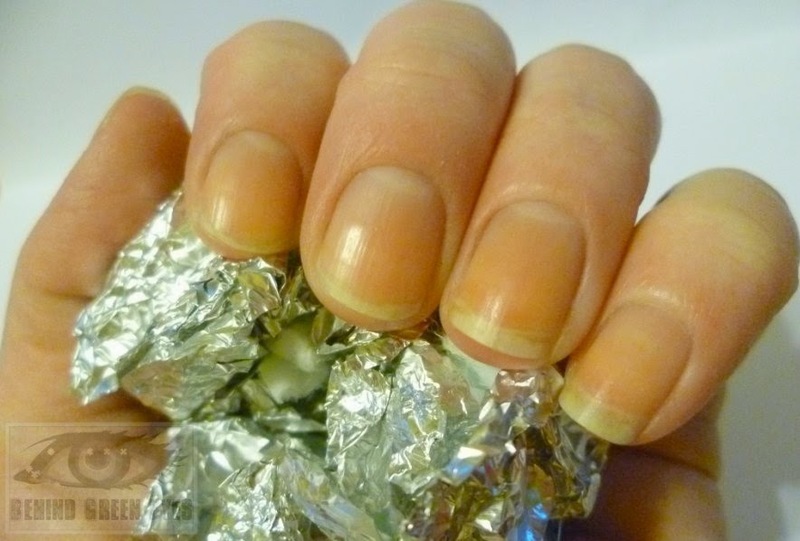 Then, give the tin foil a firm twist and remove from the nail. Most of the glitter should now be on the pad! 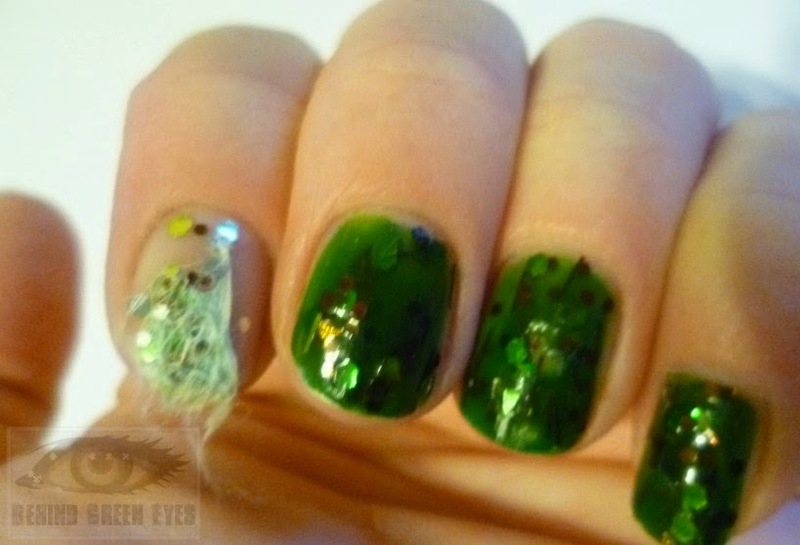 To get rid of the last bits of glitter, just fold one of the used pads over and wipe the nail. The glitter will come off instantly (99% of the time anyway). See? No scrubbing, no picking, no scraping, no messing, no stained cuticles, and no bits of fluff all over the place. Just wash your hands thoroughly afterwards and use a cuticle oil or hand cream to make sure you don't dry your nails out. You can also use this method with pure acetone to remove gel nails, just be really conscious of the fact that acetone is very drying to the skin so make sure not to forget the hand cream. Anything else nail related you'd like to see? Great tip, half the time I don't bother with glitter nail varnishes because I can't handle the hassle of taking it off! This is so handy and sometimes I forget about it! Makes it so much easier. That is genius! 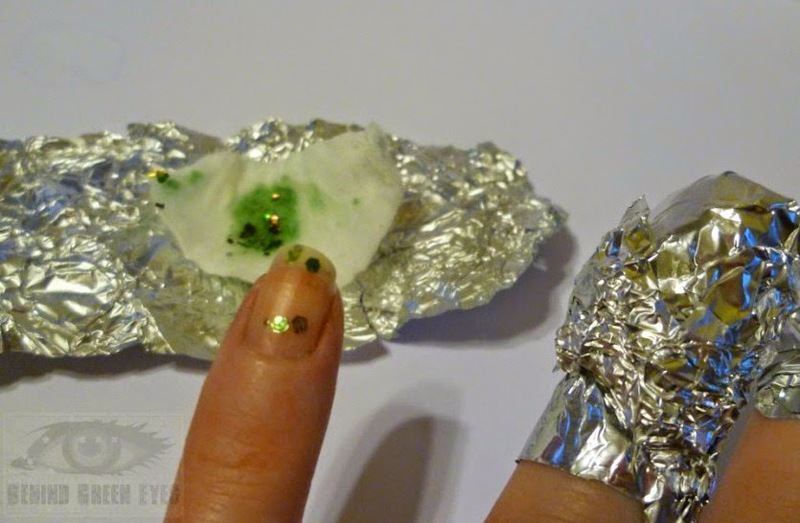 I really did think the tinfoil method was scrubbing at the glitter with a wad of tinfoil! DUH! Brilliant, thanks. I do that too.... especially since I started using Poshé topcoat, it seems to have a kinda reverse peel-off effect, if you pick the edges of it sometimes a whole nails worth of polish will come off!! !